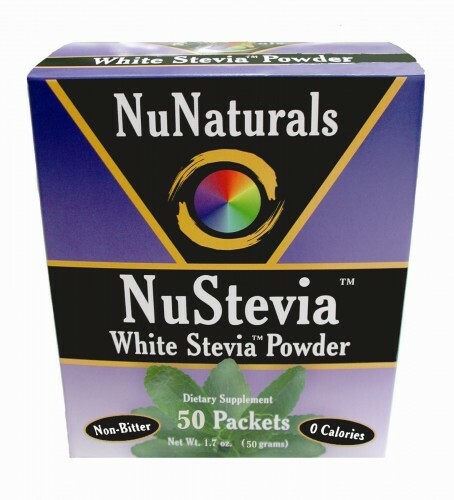 I’m thrilled to be hosting another NuNaturals Stevia giveaway. NuNaturals Stevia products are a sweet delicious way to reduce sugar and carbohydrates in your diet. These supplements were voted the best tasting Stevia products available on the market today. 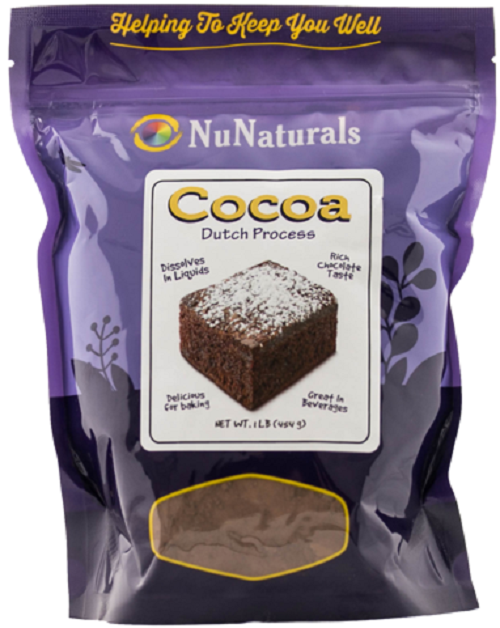 I recently tried their Dutch Processed Cocoa Powder. We had a little get together over the weekend and it was my turn to bring dessert. Since the new year, we’ve all been trying to eat a little healthier so I made home made brownies with the cocoa powder. It felt great to create something that was so high quality and delicious. I’m pleased to offer samples to (4) of my lucky readers worldwide [no po boxes please]. Each will receive ( 1 ) bottle of Vanilla Alcohol Free NuStevia Liquid, (1) bottle of our NEW SUGAR-FREE COCOA SYRUP, (1) package of the NEW COCOA POWDER, PLUS a 50 pkt. box of our NuStevia NO-CARBS Stevia Packets. In addition, each of our 4 winners will also receive a FREE BONUS item. The total retail value of each package is $ 70.00. A favorite recipe of mine is using the liquid drops in my bottled sparkling water; just 7 drops of NuStevia creates a homemade soda without the side effects of caffeine, sugar and artificial ingredients. Use chocolate and peppermint in your plain Greek yogurt-tastes like a peppermint patty candy bar without the calories! Pour Cocoa Syrup over ice cream; delicious! Experiment with mixing the flavors into your tea, coffee, smoothies and just about everything else. Come up with your own combination of YUM and your recipe may be posted on their Recipe Collection. Where Can I Get Stevia? NuNaturals provided me and my readers with samples of this product but you can win yours below or order the products online using DISCOUNT CODE BLG0616. You’ll receive a 15% DISCOUNT on your entire order. This discount expires 6/30/16. Online ordering customers may also receive FREE SHIPPING to the CONTINENTAL U. S. on all orders exceeding $35.